When automakers from all corners of the world began announcing their plans of developing autonomous driving technology, it felt like it would only be a matter of time before these pursuits sprouted new forms of technological advancements that were tied into autonomous driving. 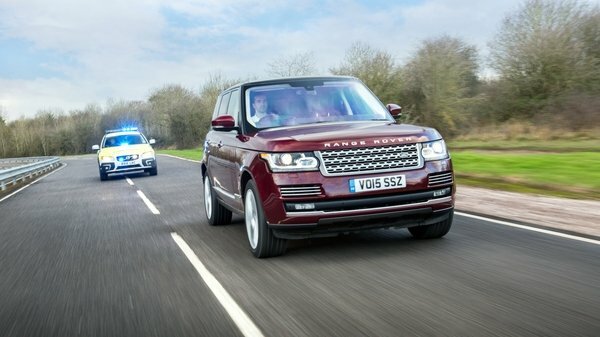 Jaguar Land Rover has certainly put its money where its mouth is, after announcing a £5.5 million ($7.8 million) investment in a 41-mile test corridor called the UK Connected Intelligent Transport Environment, or UK-CITE for short. The venue is called a “living laboratory” that will used for a variety of functions, including the evaluation of JLR’s new systems that are related to real-world driving conditions and more importantly, support the development of connected and autonomous driving technology. Other companies, universities, and organizations also joined in to partake in the development of UK-CITE, including Siemens, Vodafone, Visteon, WMG, the University of Warwick, Coventry University, and the Coventry City Council. JLR’s goal is to use UK-CITE and its facilities to develop and test out its automotive vehicle technologies on as many as five different types of roads and junctions. Roadside communications equipment have also been installed to test vehicle-to-vehicle and vehicle-to-infrastructure systems on as many as 100 connected and automated cars. The whole set-up is meant to unlock the key to sharing information at high speed between cars and roadside infrastructures like traffic lights. In the end, UK-CITE is expected to play a big role in JLR’s continued pursuit in the development of its own autonomous driving technology while also addressing the clear, real-life need of improving road safety for both the cars and its drivers.